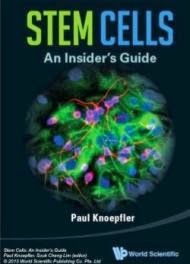 The International Stem Cell Society (STEMSO) announced yesterday that several leading doctors in adult stem cell therapy will be speaking at the global conference in The Bahamas, February 19-22, 2014. The conference, titled "Bridging the Gap: Research to Point of Care", brings together medical scientists, clinicians, regulatory experts, and investors to discuss progress in the field of research and clinical protocols and the process of taking promising therapies to fight chronic disease to market in a responsible manner. Presenting speakers include Amit Patel, M.D., B.S., M.S., Camillo Ricordi, M.D., and Allan Wu, M.D., CTBS, FACOG, FAACS, FACS on Friday, February 21st at the Grand Lucayan Resort, Grand Bahama Island. Dr. Patel, director of Clinical Regenerative Medicine and Tissue Engineering with University of Utah will be addressing the latest clinical advances in stem cell therapy for heart failure from 3:15 to 4:15 p.m. Preceding Patel is Dr. Ricordi, chief academic officer and science director of University of Miami Diabetes Research Institute, speaking about cellular therapies and regenerative strategies for diabetes from 1:00 to 1:45 p.m. The morning discussion from 10 a.m. to 10:45 a.m. will be led by Allan Wu, MD, CTBS, FACOG, FAACS, FACS, who serves as Chief Medical Officer for the Regenerative Surgery Institute, managing partner for Regenerative Resources, LLC and Chief Scientific Officer for StemExo. Wu will provide a clinical and industry update on induced pluripotent stem cells (IPSCs) and adipose-derived stem cells (ADRCs). "A large fork in the development of regenerative technologies has developed between autologous mesenchymal or more so "personalized" cellular therapies versus a more generalized and ‘pharmacoligized’ off the shelf approach and ‘one size fits all’ method of induced pluripotent stem cells (IPSCs). From a commercialization stand point there are several precautionary stories of why personalized cellular therapies like autologous stem cells are difficult logistically. The purpose of this talk is to review the practical clinical, basic science and financial issues underpinning IPSC and autologous cell therapies and formulate a reasonable prediction on the regulatory implications in the immediate future in addition to possible economic impact to the stem cell medical tourism industry as a whole." said Wu. "We are fortunate to have such world-renowned guest speakers at the STEMSO 2014 Conference in Freeport, Grand Bahama. This conference will provide companies looking to expand their research or clinical practices to offshore locations many good reasons to choose the Bahamas. Those attending will be able to network and view the most advanced research and clinical protocols utilizing autologous and allogeneic stem cells in the world today" said Douglas Hammond, president of STEMSO. The complete agenda of the conference is available at www.stemso.org. Other speakers include stem cell researchers, scientists and practitioners from around the world with leading discoveries in the field, and investors in the healthcare space. Registration is open for attending and exhibiting on STEMSO’s website. STEMSO is a member-based, international, non-profit 501(c) 6 trade association for the purpose of promoting the interests of the global, adult stem cell healthcare industry while linking patients and stakeholders with member medical organizations. STEMSO provides information, education, resources, advocacy and public awareness for the advancement of the adult stem cell industry.